With the world of wellness evolving so quickly, this question is timely and relevant. Read on to discover what the leaders had to say. How do you foresee wellness evolving in the coming years and what do you think organizations should be doing to prepare? Corporate clients will need to think more broadly and longer term than just a year. Corporate strategies should be multifaceted targeting all employees including those that are currently healthy as well as those that are chronic. Wellness is not limited to the athletes in the crowd nor should we assume someone undergoing treatment would not welcome wellness. Going forward, continue the programs that are successful year over year and layer in new programs that evolve with the dynamics and health changes of your employees. Many employers have embraced new digital and mobile technologies to engage their workforce, truly adapting the essence of “right care, right time, right place”. In doing so, they have generated new data sets that I am excited to see corporates, and their partners, use to evolve health and wellbeing programs. The most successful strategies will encompass both online and offline channels with integrated social connectivity, enhancing engagement and serving as intrinsic motivation. Unprecedented interest is being focused on wellness, not only in corporate settings but also in daily medical practice. As physician practices and healthcare systems embrace the concept of wellness, there will be an increased need for corporate wellness vendors to integrate their services and systems with those of physicians/healthcare systems, including integration with electronic medical records. There will also be an increased need for corporate wellness programs to ensure that their services are evidence-based and conducted in accordance with reputable national/international clinical guidelines, and to document their outcomes in peer-reviewed medical journals. Only when these conditions are met will wellness programs be effectively positioned to support value-based pricing initiatives (such as ACOs) and be embraced by mainstream health service providers. These days, people's health is an increasingly important issue. Aging, being overweight, cholesterol and cardiovascular problems, amongst other concerns, make us, as a society and as businesspeople, stop and think what we can do to improve the health of the population. At companies, management must get involved in the health and well-being of its employees and make it a strategic issue, investing in long-term health promotion programs that encourage people to develop healthy habits. The corporate culture of the company has to be in line with the goals it hopes to achieve. There should be a communication and awareness campaign highlighting the benefits of this kind of program for employees. Progressive implementation of initiatives, but not in isolation. All actions should follow a previously defined strategic approach that lines up with the company’s strategy. The workforce is changing and an increasing number of organizations are looking to support a more integrated approach to health. For example, workplace wellness programs that were once predominantly fitness-based are now incorporating strategies to support organizational culture and mental health strategies. Employers are ideally positioned to support the physical, mental and financial health of their employees, and can optimize that experience by focusing on a strong foundation and the right strategic approach. I think the future of health care for self-funded employers is to take control. Specifically, I’m referring to partnering with a third-party data analytics provider that breaks your medical and prescription drug claims down and offers you unlimited data manipulation. Contract directly with these companies so that you are no longer dependent on insurance companies, actuaries or other providers, including wellness companies, for access to and analysis of your claims. From here, get your wellness provider involved in looking at this data and building a solid plan to target your highest expenses through individual interventions, group education, etc. Pair this up with a friendly, compassionate, innovative and hard-working ONSITE health coach, nurse, dietician, etc. and you will see a very large impact on your healthcare dollars. Most importantly, you will see a healthier company culture and a happier, more productive workplace team. Don’t forget to include families! The most successful employers are recognizing that in addition to supporting the physical health of employees and providing a safe work environment, they need to create healthier workplace cultures and environments that support employee health and wellbeing. Successful approaches will be those that acknowledge a broader understanding of what it means to be healthy. They will incorporate evidence and knowledge from many disciplines of science, technology, and philosophy, and may also incorporate the wisdom and wonder of spirituality, poetry, music, and the arts. At the end of the day, no matter how good an organization’s health benefits or wellness program, employees cannot realize their fullest potential health in an unhealthy workplace or in unhealthy families and communities. Thriving workplace environments and cultures are imperative, as are resources, opportunities, and practices that support and develop employee self-leaders, and evaluations that provide meaningful measures and feedback about progress along the way. Wellness is going to get more personal. From wearables guiding our activities to medications tailored to our genetic profile, information and data are key. Organizations wanting to deliver a meaningful experience to employees and to actually have an impact on health will need to personalize communications and programming. 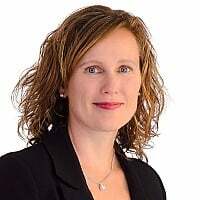 As such, organizations have to start addressing issues of consent, privacy and data management to build trust with their employees and providers, and have to start building the infrastructure to support the analytics and programming required. The wellness ecosystem is breaking down long-standing stigma towards mental health issues and many programs have begun to provide solutions to populations that were, in the recent past, invisible. While this transition is gradual, in time, mental health issues will benefit from the same acceptance and open discourse as metabolic concerns. The pillars for success in supporting these initiatives will mirror the infrastructural foundations that are driving successful programs in the wellness industry at large: strong assessment tools, coordination between initiatives, technology to create scalable solutions, and data analytics to bring it all together. I believe that employers all over the world are realizing they are responsible for the health of their employees. And so workplace wellness will gradually become standard for small companies as well, even those with little resources to invest in health promotion. 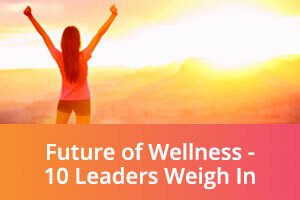 CoreHealth is proud to partner with such an insightful group of wellness thought leaders. Their perspectives are invaluable to all organizations as they evaluate, plan and implement new wellness initiates for their workforces now and for years to come. If you are interested in connecting with any of these leaders, feel free to contact them directly via their social media networks. Or, contact CoreHealth. We work with wellness companies who are experts at helping corporate clients deliver wellness programs to their workforce and get impressive results.